Watch this space for information on the latest staff development opportunities for staff members of the Steamboat Springs School District. Click here for the latest staff development calendar for the Steamboat Springs School District. Check back periodically for updates. Click here for a complete listing of staff development opportunities currently offered by the Steamboat Springs School District. Staff who would like to request funding for attendance at a professional development conference should use the Request for Conference Funding form and submit it initially to their building principal and then have it sent on to the Director of Teaching and Learning. 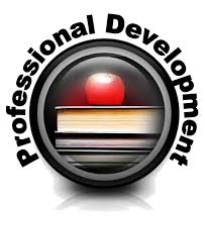 Professional Development resources are now available through our High School wiki. Use these to see what professional development opportunities are available at individual building sites. Staff members looking for regional training opportunities should look at the NWBOCES website and click on the tab labeled Professional Learning. Requires schools and districts to provide staff development for any identified needs in the educator’s evaluation. By July 2013, Steamboat Springs School District implemented this new evaluation system that aligns with the teacher and principal Quality Standards and State Board Rules and that meets the requirements of SB-191, Educator Effectiveness. During the 2017-18 academic year, the Steamboat Springs School District will be participating in the CDE Piloting of the revised professional practices rubric for teachers. This will result in a change in the rubric for teachers. There will not be a change for special service providers (Nurses, Counselors, and Social Workers) or Principals. The information below explains and reflects those changes. To see updates on the changes to the Educator Effectiveness system of the Steamboat Springs School District, please click here. MSL Charts: The complete set of charts that are used to determine the 50% of educator's evaluation score based on student performance. Charts are included for teachers, principals, counselors, school social workers, and nurses. 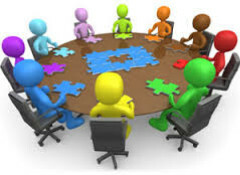 The Staff Development Council is a group of licensed staff that meets quarterly to review the comprehensive staff development program of the district and provides input and guidance on the future direction of staff development in the district. Any staff member that is interested in serving on the council should contact Marty Lamansky, Director of Teaching and Learning at mlamansky@ssk12.org or via phone at 871-3194. The calendar of the dates for the council meetings can be found here. The current list of council members can be found in this document. The Steamboat Springs School believes that effective use of technology in instructional practice is an essential skill in the 21st century. We also believe that it is essential that the staff of the district is provided with the training and material resources to use to integrate technology into daily teaching practice. The district has adopted expectations concerning a teacher's web presence that can be found here. Technology mentors have been established at each of the four major schools in the district. Mentors are teaching staff members who have particular expertise in the use of, and integration of, particular technologies in the district. For the 2017-18 academic year, mentors have expertise in SMARTboard, iPad use and applications and Google Apps For Educators (GAFE). Staff members who are seeking specific help in implementing technology in their classroom, as part of their instructional practices, and/or as part of ongoing parent/student communication should work with either their Technology Integration Specialist (at elementary schools) or their building-based technology mentors. School-based Technology Mentors: click on the mentor's name to e-mail them a request. We know that there are multiple needs for staff development among our staff. 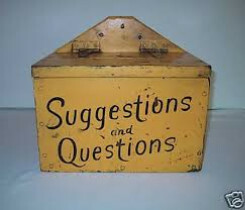 If you have ideas, suggestions, or questions about staff development please submit them via this e-mail link: Staff Development Inquiry/Suggestion. This section will contain the schedules and overviews for the 2017-18 district professional development days. Use this as a reference for overviews, schedules, and tasks for the day. The Steamboat Springs School District has five district-wide Professional Development Days during the year. These are days that are reserved for staff to engage in collaborative learning focused on issues and techniques which improve all elements of teaching practice. Further information can be obtained by contacting your building administration and instructional coaches or contacting the Director of Teaching and Learning. District Wide PD days. All staff will participate in one of four “Instructional Strands.” Registration to take place in early January. District Wide PD days. All staff will participate in the second day of one of four “Instructional Strands.” Registration to take place in early January. 1. Have a conversation with your building principal about the professional conference and why you believe it will be beneficial for you and your students. Be prepared to explain how you will share the knowledge from your conference with your colleagues. If your principal is in support of the request then go to Step 2. 2. 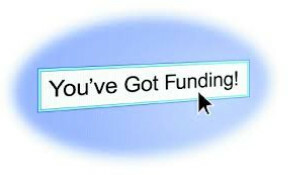 Fill out a Request for Conference Funding form and have your building principal sign the form. Send the form over to the District Office to the attention of the Director of Teaching and Learning. 3. 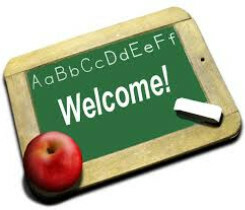 Send an e-mail to the Director of Teaching and Learning to make him/her aware of your request. You should be notified within 5 working days of the status of your request and any follow-up procedures you will need to follow. The Steamboat Springs School District has a two-year Induction Program for all teachers who are new to the profession and the school district. Any teacher who is currently on their Initial Teacher license and has not completed an approved induction program in the state of Colorado must complete the program in order to obtain their Professional Teacher license.